Coke is benefiting from the seltzer surge. The company's North American sparkling water sales spiked 19% last year, according to Nielsen data cited by Coca-Cola. Flavored sparkling water is an important part of the trend. Coca-Cola already has a fairly robust line of other sparkling water beverages. There's Dasani sparkling, which comes in several flavors, as well as Topo Chico sparkling mineral water and Seagram's club soda and sparkling seltzer water. 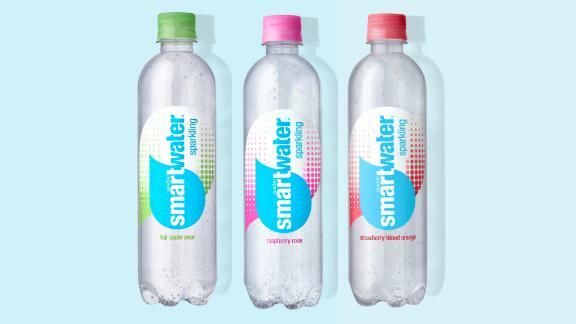 But vapor-distilled Smartwater, infused with electrolytes and pitched by celebrity spokeswoman Jennifer Aniston, is a more premium product than Coke's other brands. Flavored versions should help the company compete with the likes of San Pellegrino and Perrier, rather than La Croix or PepsiCo's Bubly.